We Think Different. Quality and Performance with the HORSE in mind. The basis of all our programs have LONGEVITY in mind from our coaching, to our training and conditioning to our rehabilitation. We train and condition for the longevity of the horse. Keeping in mind development that is appropriate for the equine’s age, current fitness level and performance goals, we tailor a program to condition and strengthen muscles, tendons, ligaments and the mind for a long and sound career. Longevity in correct conditioning. We rehabilitate to lengthen the longevity of the horse’s career, regardless of discipline. A program that includes LOW impact, HIGH intensity with an intensive look at things such as correct hoof loading (landing, push off, symmetry), symmetry of muscle growth (compensation correction) and the horse’s overall attitude. Sarah has been involved in the industry for over 10 years and has never been the kind to become complacent, and Millennium follows suit. Sarah grew up riding hunter/jumper, learning on many school horses, leased horses and really any horse she could sit on… From here, she continued on and pursued an education from Olds College, completing her major in English Horsemanship and then completed an apprenticeship in California under trainer, Laurie Cunningham. Since then, Sarah has continued to better herself as both a rider and coach, completing many clinics and mentorships, and believes this to be an integral part of continuing to be a great trainer and coach to the future equestrian generation. Sarah has grown Millennium from a small group of riders to a large group of students both competitive or recreational, who are cognitive and bold equestrians. Sarah has also trained many horses from start to finish, who often move on to have continued success in many disciplines. Horses graduating from Millennium’s programs always have a well-rounded basis of training and are confident and brave moving forward to their new career, and often leave with many successes already in the show ring. Sarah’s most recent endeavour is a passion for rehabilitation and proper conditioning. Millennium is now a state of the art facility that includes a water treadmill and solarium. Sarah also has completed courses and educated herself in the art of natural trimming and now offers many programs to get horses sound and fit. Sarah has many success stories and testimonies from clients who have already discovered what these amazing programs can do for their equine partner! Meagan has been involved with horses from a very young age and recently joined the Millennium Team, going from Manager a retail team to an equine team! Meagan is a dedicated individual with a great attention to detail. 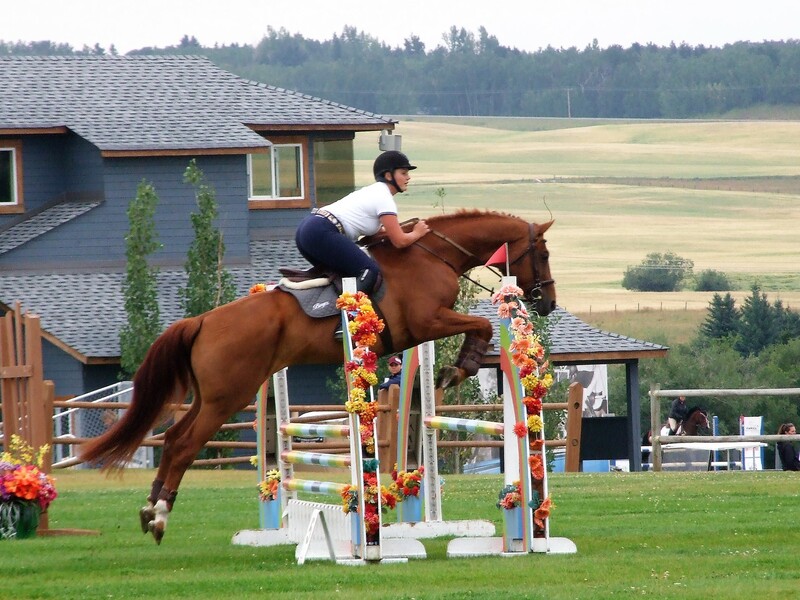 Meagan recently relocated from Ontario where she grew up riding and competing in the hunter/jumper circuit. Meagan loves all her 4 legged critters including her two dogs, her mini and her 2 full size horses. © 2017. Millennium Equestrian. All rights reserved.